Thank you Craig for sending along this incredible home for sale in Elmira, New York, that has my jaw on the floor. THE POTENTIAL! I love the plasterwork on the ceiling, the stunning mantels, the CHANDELIERS and the stained glass. Someone please save this beauty! 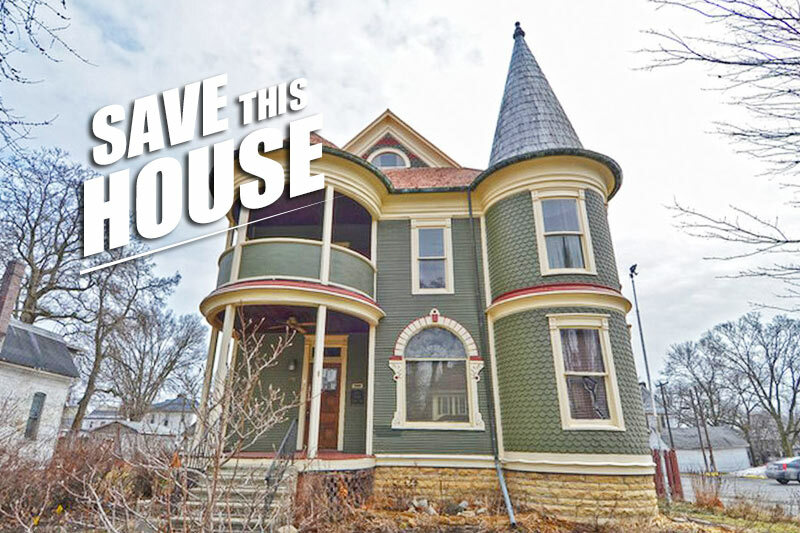 Psst… love cheap, beautiful old houses? Follow our Instagram feed @cheapoldhouses where we feature gorgeous historical homes for sale for under $100,000. History and beautiful architecture abounds in this late 1800’s brick mansion. Fine woodwork, stained glass and many original details intact. Perfect renovation candidate. New roof just installed. May be used as a 2 family with the proper approvals.